Tanna Island is the fiery heart of Vanuatu. One of the southernmost islands in the archipelago, this is a place steeped in mystery and magic. Where else could you peer into the mouth of an active volcano, come into contact with a cargo cult and snorkel with turtles off black sand beaches? Just 50 minutes by air from Port Vila, Tanna is rich in local tradition and is an island experience unlike any other in the Pacific. There aren't any large towns on Tanna, so this island is ideal for anyone looking to escape the hectic pace of modern life. Embrace the wild natural settings and the untamed environment - it's the perfect backdrop for adventure! Friendly Beach is a resort located on the remote east coast of the island. Staying here is a true back-to-nature experience, with luxury eco villas rising out of lush vegetation just off a volcanic black sand beach. On the other side of the island, White Grass Resort is a collision of colourful gardens and blue seascapes. The Pacific Island lifestyle is encapsulated in the timber rooms, abundant palm trees, and the beach with its garland of coral. Another great reason to stay overnight on Tanna is the opportunity to get a glimpse of Mount Yasur in the dark. Said to be the most accessible active volcano in the world, Yasur growls steadily in the background day and night but takes on a whole new dimension after dark falls. 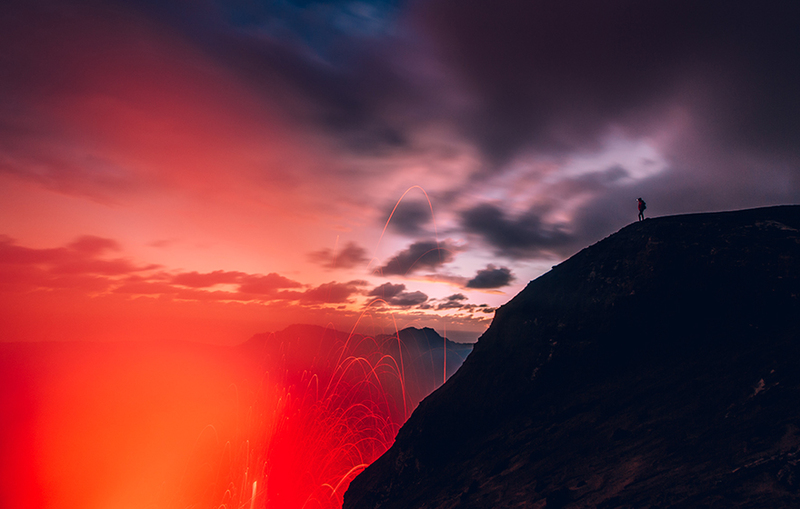 It's awe-inspiring enough seeing the glowing tip of the volcano against the night sky, but imagine yourself standing on the rim of Yasur Volcano in the evening, when you can see this natural marvel exploding across a blanket of stars! Tanna Island is a place to find culture with a capital C. So to get a deeper understanding of local ways of life, the more time you have, the better. To get a closer look at a people who have remained largely uninfluenced by the outside world, you can take an eye-opening cultural village tour. Learn more about traditional medicine, crafts and cooking, or join in the weekly celebrations of a cargo cult each Friday, when John Frum followers conduct rituals like marching and raising US flags. This curious cargo cult came about when Americans visited the island in World War II, bringing material goods with them. The locals still hold firmly to the belief that one day John Frum will return and deliver more riches like radios and Jeeps. If you’re interested in getting a more intensive look at Tanna’s natural beauty, there are a couple of different options available to you. Hiking on foot is going to give you the most up-close and personal experience, but you could also do it on horseback or even with a four-wheel drive tour. Tanna's coastline is dotted with rock pools and coral gardens, and the seascape is patterned with bursts of colour as fish flit back and forth in their underwater home. Dive into this heavenly marine environment and snorkel Turtle Reef to spot a whole range of aquatic life. Or swim to hidden blue water caves that only experienced guides can lead you to. We also can’t recommend enough doing some snorkelling out the front of the White Grass Resort – these natural pools seem like gems of beauty from another world! If you're tempted by a trip to Tanna, contact our team of holiday experts - we're specialists in turning dreams into reality.